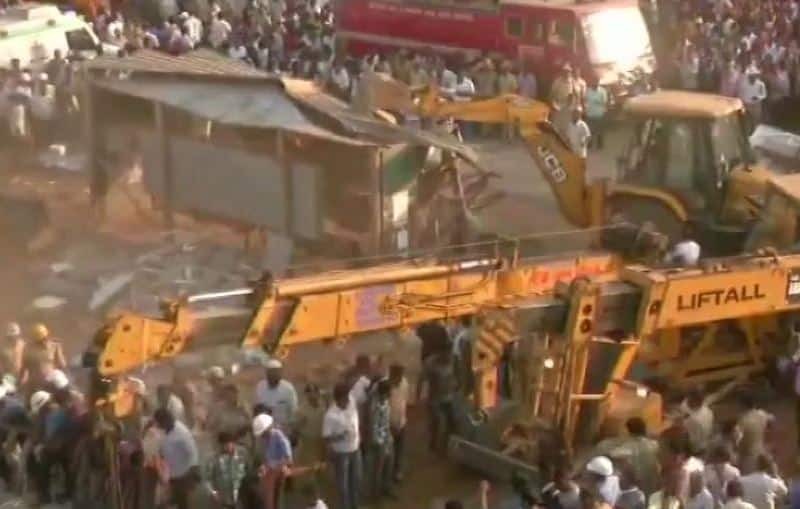 Talking to ANI, Dharwad Deputy Commissioner said that two people died and 28 people were rescued from the debris of the collapses under-construction building. The injured were admitted at Civil Hospital. NDRF and SDRF team has reached the site of building collapse. Oxygen and water were given to seven people who were found trapped under the debris. Rescue operation will continue at night. “2 people dead, 28 people rescued & receiving treatment at Civil Hospital. NDRF and SDRF team has reached the site of building collapse. Oxygen & water given to 7 people buried in debris. Rescue operation to continue at night,” Dharwad Deputy Commissioner told ANI. The search and rescue operation was launched quickly after the collapse of the four-storey under construction building. The cause of the building collapse is still not known. One of the deceased has been identified as 35-year-old Salim. At least 20 people have been admitted in civil hospital, while three are referred to KIMS in Hubli. Local media reported that District Collector Deepa Cholan, police and fire tenders rushed to the site of the accident after hearing the news of collapse. Local authorities have sought rescue teams and vehicles from nearby stations to speed up the rescue operation.